Tradebit merchants are proud to offer auto service repair manuals for your Alfa-Romeo 145 - download your manual now! For over 66 years, Alfa-Romeo has been known for building familiar automobiles such as the 1973 Alfa-Romeo 156 SW 2.4 JTD and the 2007 33 SW 2.4 JTD. Regardless of whether you have issues with a 1973 156 or you have a 2007 33, you are going to need a decent repair manual to maintain it properly. Check out our full inventory of auto manuals from Alfa-Romeo, covering the oldest and newest generations cars. 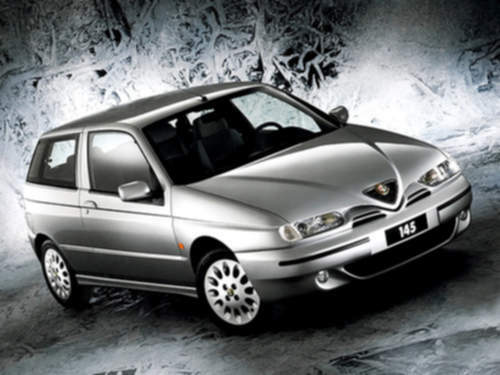 Alfa Romeo 145 & 146 Car Service & Repair Manual (1994 1995 1996 1997 1998 1999 2000 2001) - Download! Alfa Romeo 145 & 146 Service Repair Manual 1994 1995 1996 1997 1998 1999 2000 2001 Download!! !